Los Angeles is a huge city therefore you’ll need a vehicle to get around. Walking Los Angeles is not an option! Make sure you choose a hotel in a location near the landmarks you’re planning on visiting so you don’t spend all your time commuting. I stayed in Hollywood Historic hotel on Melrose Ave which has both a great location and service at a competitive price for Los Angeles. Additionally, they also provide free parking. The Branbury Building is an office building which was built in 1893. From the exterior, it’s nothing special. However the interior features staircases lifts and landings decorated with ironwork. For this reason it’s a top Los Angeles Instagram spot. Moreover, it’s featured in movies such as the original Blade Runner, Lethal Weapon 4 and Wolf. 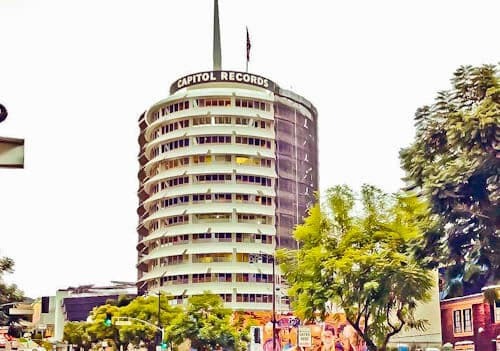 Also known as the Capitol Records Tower, it resembles a stack of records with the spindle pointing upwards. As a result of this design it’s the most iconic building of the city. Did you know the building collapsed during the 1974 movie, Earthquake. 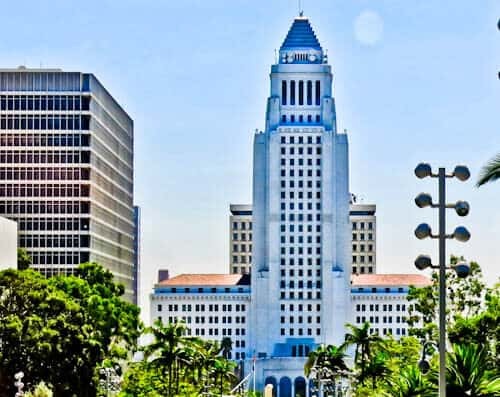 The easily identifiable Los Angeles City Hall was built in 1928. Inside is the current mayor of Los Angeles office. 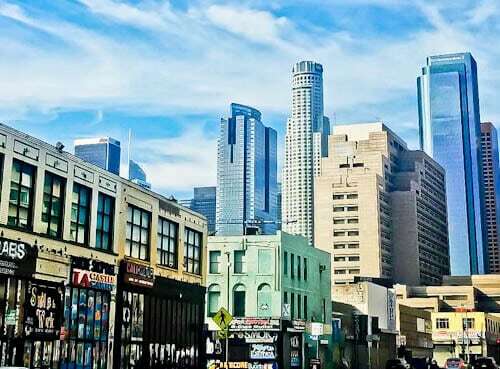 It’s free to ascend to the Observation Deck for panoramic Los Angeles views. 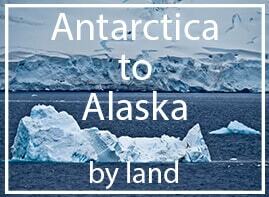 An interesting fact about the building is that it’s the tallest base isolated structure in the world. The reason it’s base isolated is because Los Angeles is earthquake prone. Finally, you may recognise it as the Daily Planet from the original Superman series. The US Bank Tower became an iconic building on the world stage when it was zapped by aliens in the movie, Independence Day. At 310 meters tall it’s the second tallest building in Los Angeles after the Wilshire Grand Center. Finally, the Wilshire Grand Building is also a hotel therefore you can sleep in the tallest building in Los Angeles. 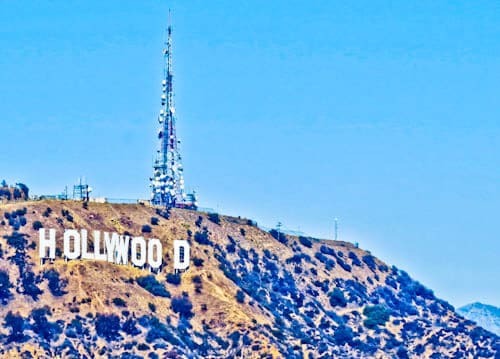 Maybe the most iconic of all Los Angeles landmarks is the Hollywood sign. Unfortunately, you cannot get close to the Hollywood sign. However, you can admire it from a distance. There’s even a viewpoint from the Hollywood Hall of Fame. Who is your favorite Hollywood star? Part of the fun of the walk of fame is finding the star of your hero. More often than not, there’ll be an impersonator next to each star. 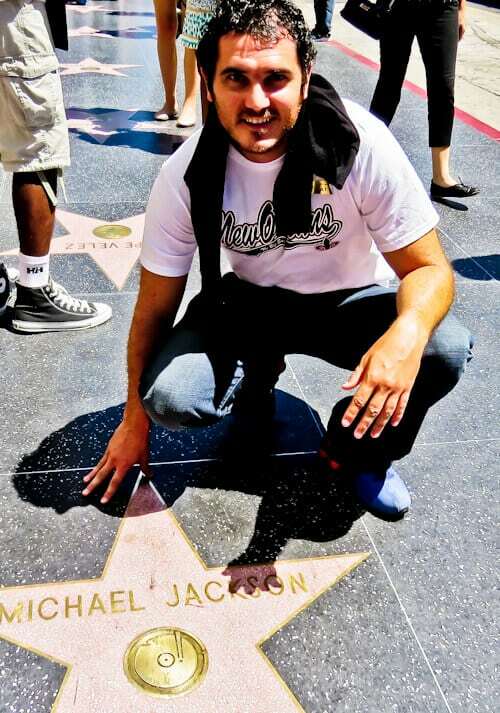 In my case, I not only got a photo with the Michael Jackson star but also a photo with a Michael Jackson impersonator. Did you know Michael Jackson made the ‘They Don’t Care About Us’ short movie in Salvador, Brazil? Lastly, you’ll also find lots of souvenir shops as well as tour companies surrounding the walk of fame. 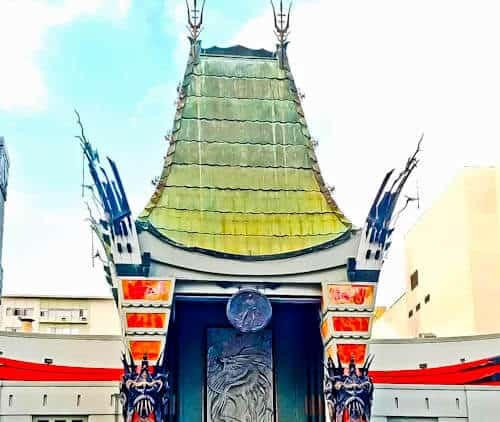 The TCL Chinese Theater is part of the Hollywood Walk of Fame. It’s a movie palace built in 1926. As a matter fact it now houses one of the largest movie screens in the United States. In front of the theater are handprints, footprints and autographs of Hollywood stars in the concrete floor. For panoramic views of the Los Angeles skyline I recommend you visit Griffith park. Can you identify the US Bank Tower in this image? Universal Studios is one of the major theme parks in not only Los Angeles but the whole of America. In addition, there’s no more suitable city to visit Universal Studios than Los Angeles, home of movies! 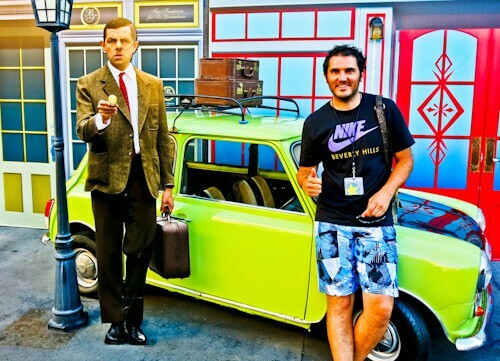 I was lucky enough to meet my countryman Mr Bean, plus you’ll encounter several meet and greets throughout the park. There are real life Transformers outside the famous ride who’ll come out for meet and greets to a schedule. Bumble Bee, Optimus Prime and Megatron are the 3 you can get your photo with. I chose to get a VIP pass whilst in the park which meant I could jump the queue for all the rides and shows, I recommend this on busy days! Los Angeles has its own Disneyland. Need I say more? 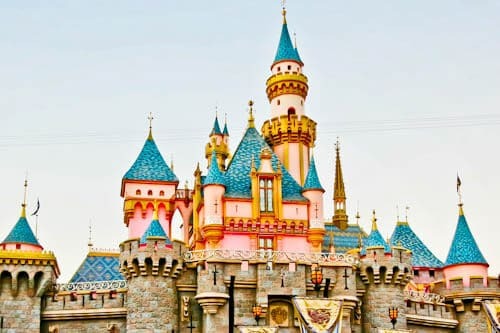 Did you know the Disney Castle was inspired by the Neuschwanstein Castle near Munich, Germany. Who hasn’t heard of the muppets? Both the Muppet Show and the Muppets Movie were produced at Jim Henson Studios. 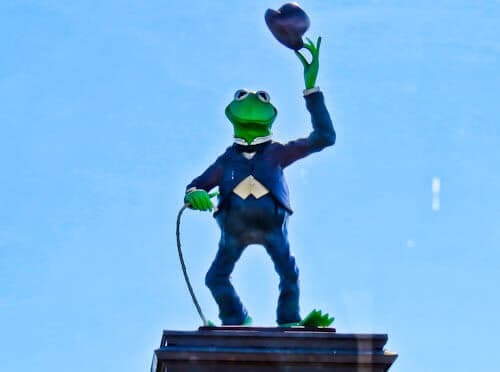 If you drive past, you’ll see a Kermit the Frog statue on top of the gates. 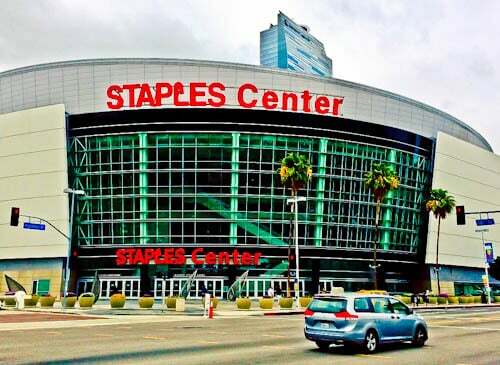 The Staples Center is the home of both the Los Angeles Lakers and the Los Angeles Clippers basketball teams. In addition, it’s home to the Los Angeles Kings ice hockey team. Finally, for Michael Jackson fans, this was the location of the ‘This Is It’ rehearsals and the Michael Jackson memorial service. 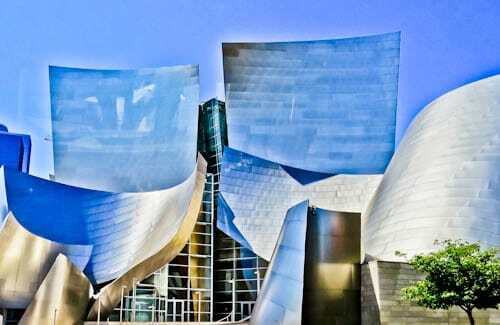 The Walt Disney Concert Hall is home to the Los Angeles Philharmonic. What’s more, it’s a unique building which features stunning architecture. 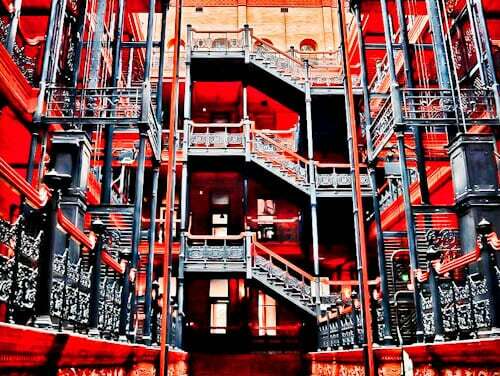 For this reason, it’s one of the most iconic Los Angeles landmarks. An interesting fact about the building is that the widow of Walt Disney made the initial donation to this project. It’s was intended to be a gift to the people of Los Angeles. 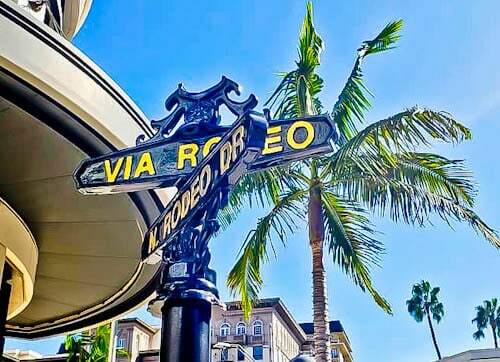 Rodeo Drive is where the rich and famous of Hollywood shop. As you walk on Rodeo Drive, it’s not unusual to see famous movie stars! 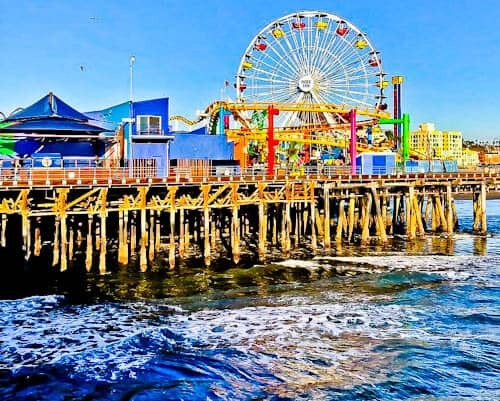 Firstly, Santa Monica Pier is the end of Route 66 (or the start!). Additionally, there’s the famous Pacific Park sign at the entrance to the pier which is an iconic Instagram spot. For these reasons, this is definitely an important Los Angeles landmark. As a Michael Jackson fan it was interesting to see the home where he died. 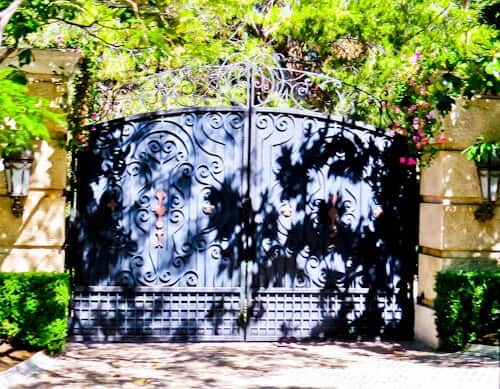 The tour driver said he moved here so he could be close to his ex-wife Lisa Marie Presley. Who knows if that is true or not but he was living there to rehearse for his ill fated ‘This Is It’ tour. As you would imagine, you can’t just drive around the houses of the rich and famous therefore you must visit as part of an organised tour. Although the whole of Beverly Hills is an important place to visit, the most famous place to photograph is the Beverly Hills street sign. 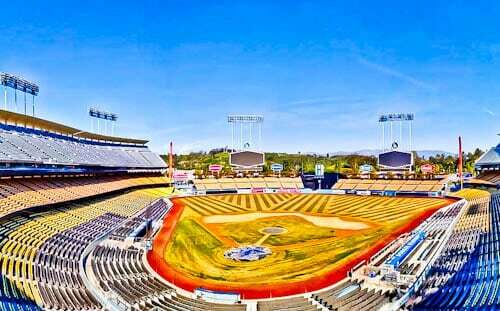 The Dodger Stadium is home to the LA Dodgers baseball team. Moreover, it’s the largest baseball stadium in the world. For this reason, a visit to the Dodger stadium is a must for any baseball fan. You’ve probably heard of muscle beach which is part of Venice beach. Arnold Schwarzenegger and Lou Ferrigno (the original Incredible Hulk) used to train here back in the 70s/80s. In addition, you’ve probably seen the ladies walking the promenade in the movies. 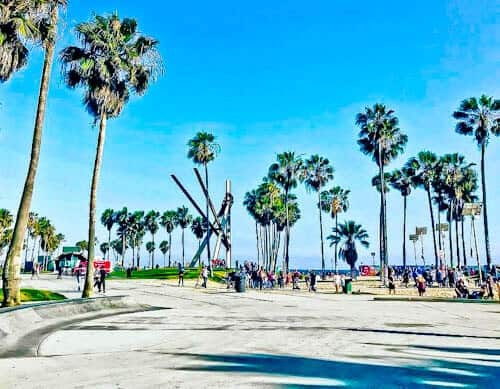 As a result, Venice beach is an interesting place to visit and you’ll love people watching here! To get to San Francisco is very easy, just take I5 North. However, as you’re on vacation in California and you didn’t come to see a highway, consider the picturesque coastal route. Finally, San Francisco is quite a distance from Los Angeles so you may consider taking half the journey on I5 and half on the coastal route. Alternatively, you could stop half way to break the journey. Nice post. 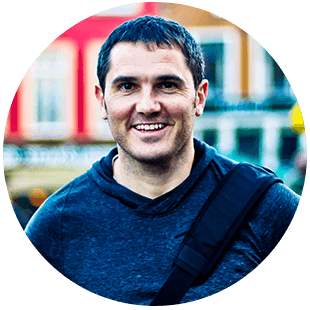 I know all these places, James – worked and lived in Anaheim, California in the early nineties. The last time I was in California was for the funeral of one of my cousins (a dear friend and confidant) in 2014. It was sad being back there after 20+ years but it was good to meet up with old friends and faces. How long have you been already travelling through the states? My maternal aunt lives so close to this place. I hope to make it there soon. Venice Beach seems like a good place to chill and talk to loved ones. I first saw Lou Ferrigno on the celebrity apprentice. I think it would be inspiring to see the “muscle beach” him and Arnold trained at. What a great travel experience you had! Thanks for sharing! 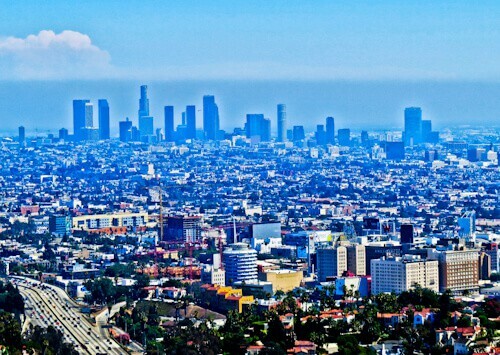 From a different part of the world, Los Angeles is synonym for Hollywood for us. 🙂 I have been always fascinated by this city and will definitely visit as soon as I get a chance. Although didn’t know about Griffith park. Will surely make a visit here. Thanks for the tips. I have several friends in San Francisco. When I land there, I will know my routes to Los Angeles. Los Angeles looks like a great place to visit if you are a Hollywood movie fan. It’s great that you got the chance to take a photo with your idol’s star in the Boulevard of Fame and to see the house where he died. I still remember the day I found out about it, the entire world was saddened. I couldn’t go to LA last time I was in America. I had been to LA many years back as a kid. I love the tip about how it is better to do the trip from LA to SFO using two different routes. I would have loved to see my childhood hero, Mr Bean too. Yeah, glad the weather was great during your visit. Good to know that the Holiday Historic Hotel offers free parking – which is unusual for hotels Los Angeles. You’re right, going VIP is the way to go for the Universal Studios tour. I’m originally from LA and often visit family in San Francisco, so I’m uber familiar with this route. 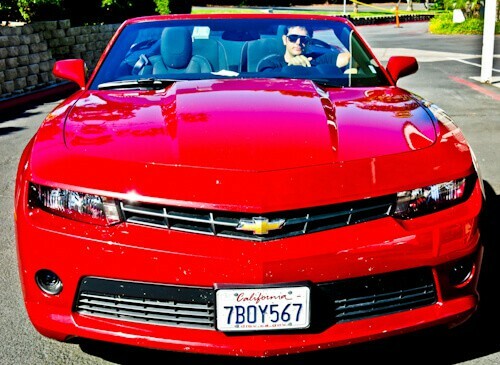 It’s such a fun drive and I fully support renting a convertible and cruising down PCH! I knew that LA was big and that you need a car to get around. I never thought about doing a tour before but it sounds like a simple way to go to see the most of the city. We want to get to LA at some point.